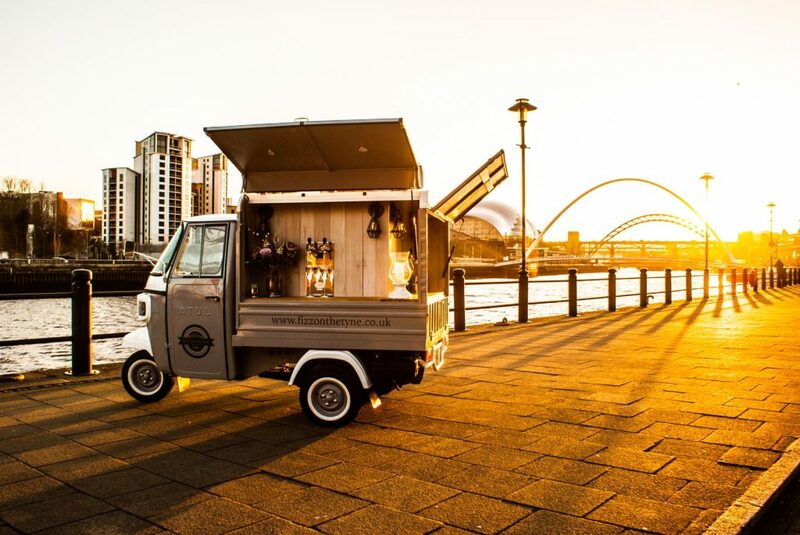 The Fizz on Tyne Mobile Prosecco Bar low cost Startup Business Website Design conveys a business concept that is bang on trend with an air of excitement and glamour. Behind the glitz and fizz message of this startup business website design lies a lot of, research and hard graft to bring the idea to life. The initial business idea came about in 2017 when long term friends Graeme King and Steven Ingle talked about getting together to go into business in the belief that they had the right mix of qualities to make a go of something. Graeme has previously proved his work and business ethic with a side project business where he produced bespoke wooden signage for home and business whereas Steven has worked in financial services with a strong ethos of keeping a track of money and making it work. We wanted to set a business up which had minimal overheads as we both work full time so something that was primarily weekends etc but with a good sized opportunity. 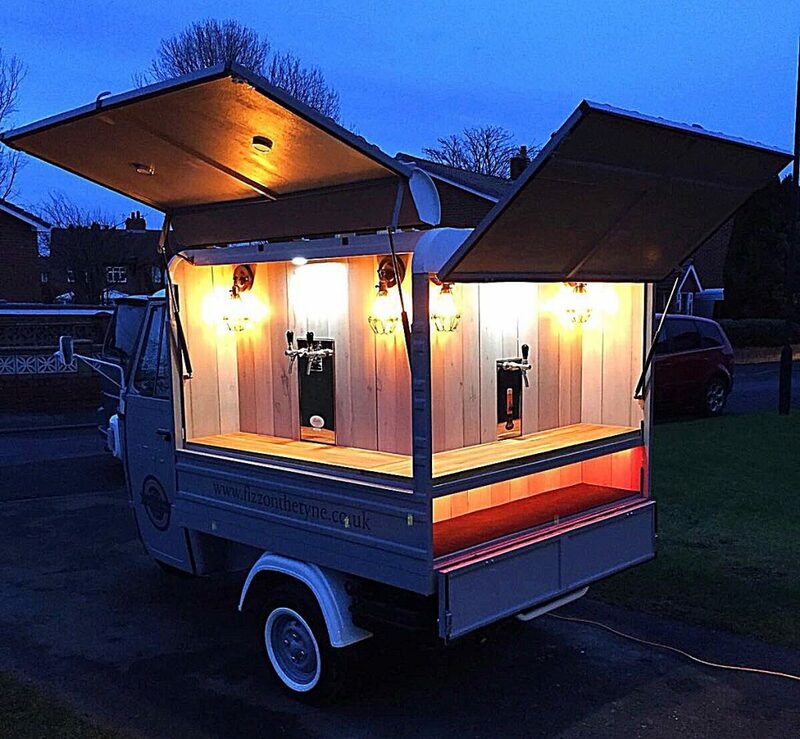 We’d looked over a few ideas, some good, some bad then the lightbulb moment came when we discovered we could have our own mobile bar. This business was going to need some investment, whilst the amount wasn’t massive it was significant and included an element of risk that more feint hearted would be business wannabees would baulk at. They set about looking at what people were doing in the market right now and how they could improve on that. The right vehicle was going to be key, they soon discovered in fact that what they wanted wasn’t readily available so they went about sourcing a vehicle to convert seeking help from Mark Noble & Spencer Teasdale, who worked tirelessly to convert the van and ensure the finished project looks as good as it does in our pictures. Read more about how Mark’s and Spencer’s efforts delivered the goods! Once bought, the van took around 3 months to convert and then after that, once people had seen the finished article, it was only a couple of weeks before we started to get bookings. With so much forward investment needed for capital equipment throwing money at a website wasn’t on the cards, they needed a low cost Startup Business Website. Yes, the business needed a professional online presence that they could be confident to send prospective customers to from their social media marketing. They needed professional SEO on the website so took that additional option so they could smash it in searches (and they do!) for ‘mobile prosecco bar Newcastle’. They were able to achieve everything they wanted with a WP Quicklaunch WordPress website with no set up costs, affordable ongoing costs and the ability to easily add blog posts and gallery items as well as update text and images on website pages quickly and easily using the simple content editor. How was the WP Quicklaunch experience for the business partners? Neither of us have had experience of WordPress or any other website but I quite fancied having a go and seeing what it was all about. I must say you did a brilliant job for us and the layout of the website is both user friendly to clients and user friendly for us to add content and photos etc. Your YouTube tutorials were excellent Gerry, even to novices like us. Graeme and Steven had initially planned to target the weddings market and to an extent they still feel that they have a lot to offer this sector, however, as is often the case things have taken a slightly different direction. Having worked hard on promoting the offer and events on social media and their startup business website they have had the kind of bookings they had envisaged at local events and celebrations. What they perhaps hadn’t fully expected was the appeal of their concept to the corporate market. They have already had some interesting bookings in the corporate sector with Bellway Homes and a recent Porsche cars event already completed and other corporate booking in the diary for the months ahead. The experience gained to date will have a bearing on how they market the business going forward regarding their target market. No doubt other opportunities will present themselves as the months unfold, it’s still early days but early signs are encouraging and beyond initial expectation. How true it is that fortune favours the brave! You can find out more about Fizz on Tyne on their WP Quicklaunch website.